Problem is is that Ford made this outcome possible. Secondly who cares unless it's your mate,friend,kid or whomever is sitting in that front passenger seat smoked in a such an accident. For sure that would mess with your attitude giving Ford the benefit of doubt of why didn't they fix both sides. Yes the chances are low, but like I said Ford has made this scenario possible by not. Now this is thoughtful analysis, minus any egregiously provocative sweeping statements. Well said gjrip. Spot on in fact. Of course Ford should have prepared sooner for what is essentially an improbable impact scenario (crossing lanes far enough to impact on driver side), and no doubt Ford has learned from it and we will certainly see the new Escape with corrections. do we know if the offset test for the driver side is conducted at TWICE the speed of the passenger side? Last edited by 2b2; 04-06-2018 at 12:54 PM. would this structural failure apply to the Focus too? Look Ford did drop the ball on the Escape safety. If Ford can make their F150 pass this test then they could make the escape do the same. Ford made sure their darling F150 was top among the Trucks in this crash test. So, why did Ford drop the ball on the Escape. Ford's F150 is the only truck to pass this test with flying colors. Because the F150 passed this test is why I bought one. Two people I know who own different brands that failed this test, where in a wreck like this and both are cripple now. The insurance tester stated that anyone in the other brands truck would have these injuries and sure enough he was wright. Here's the Video http://www.iihs.org/iihs/news/deskto...lap-protection. So, seeing Ford neglect the Escape is a shame. Before wing nuts gets on here states, you will be ok in your Escape. I will tell you this you will be safer in the other makes that passed this test. If this kind of a wreck happens to you, hope you’re in one of the vehicles that pass this test. I seen it first hand twice this year and both where Trucks that did not pass this test and both had injuries like the test shows and now they have permanent injuries like the insurance test showed they would have. I have owned allot of Fords over the years and bought a new vehicle every year for the past ten years and they so far have been Fords and one Lincoln. But that can change if Fords starts treating safety as number 2 instead of one. Ford's motto should not be we meet the standard, but we exceed the standard. Last edited by SHELBY32; 04-08-2018 at 06:01 AM. If it's a global vehicle, Ford should have reinforced both sides for left-hand drive and right-hand drive models. The safety updates done on the refreshed Escape seems to be specific only to the North American built model, this might explain why they only made one side safer. To Wings point, the Escape performs very very well in other crash tests and the drama about this test seems a bit overdone. The architecture of the Escape dates back to the 2006 Kuga, and the overlap test wasn't introduced until 2012. Not giving an excuse, but rather a reason. That's true but Mitsubishi just proved that it can make its old Outlander safer. The Outlander scored "Good" on both the driver side and passenger side small overlap test and it's as old as the Escape. The current model is a refresh of the Outlander which made it global debut in 2012, it's based on the architecture of the previous generation 2007MY Outlander. 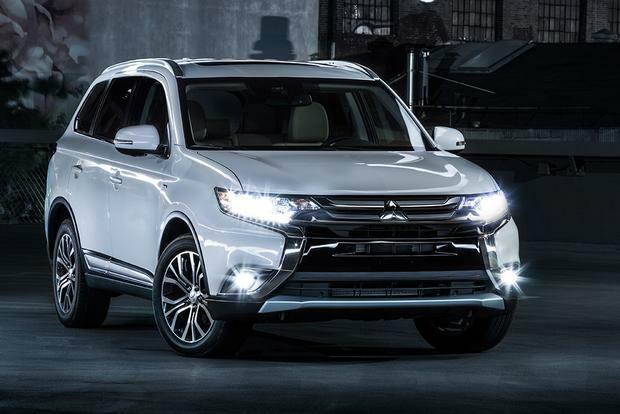 If a company like Mitsubishi can do it, Ford should be able to do it too. Last edited by AM222; 04-08-2018 at 06:04 AM. There is a Very High likelihood of that being the case, since Ford was willing to risk the safety ranking of the high volume cash cow New F-150 and high volume Escape to cut costs. Escape has had a pretty good safety rating overall, all this false drama not withstanding. Whats actually impressive, is that the nearly outgoing Escape is safer than many far newer models.